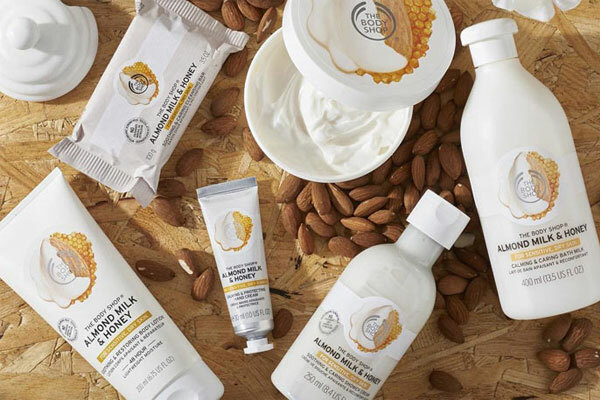 Almond Milk & Honey by The Body Shop - A new hypoallergenic fragrance and dermatologically tested bath and body collection for sensitive skin. The formula includes Spanish almond milk and Ethiopian community trade honey. This dry, sensitive skin formula of products are available in body butter, body scrub, bath milk, shower cream, soap, body lotion, and hand cream from ULTA and The Body Shop.